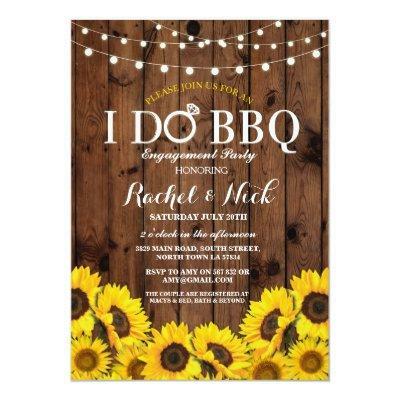 I DO BBQ Sunflower invitation. Changing your listing for a couples shower, engagement party, wedding BBQ, etc. Simply change the text to suit your party. Back print included.